State of the Heart traces the entire arc of the heart, from the very first time it was depicted on stone tablets, to a future in which it may very well become redundant. While heart disease has been around for a while, the type of heart disease people have, why they have it, and how it’s treated is changing. Yet, the golden age of heart science is only just beginning. And with treatments of heart disease altering the very definitions of human life and death, there is no better time to look at the present and future of heart disease, the doctors and nurses who treat it, the patients and caregivers who live with it, and the stories they hold close to their chests. More people die of heart disease than any other disease in the world and when any form of heart disease progresses, it can result in the development of heart failure. Heart failure affects millions and can affect anyone at anytime, a child recovering from a viral infection, a woman who has just given birth or a cancer patient receiving chemotherapy. Yet new technology to treat heart failure is fundamentally changing just what it means to be human. Mechanical pumps can be surgically sown into patients’ hearts and when patients with these pumps get really sick, sometimes they don’t need a doctor or a surgeon—they need a mechanic. In State of the Heart, the journey to rid the world of heart disease is shown to be reflective of the journey of medical science at large. We are learning not only that women have as much heart disease as men, but that the type of heart disease women experience is diametrically different from that in men. We are learning that heart disease and cancer may have more in common than we could have imagined. 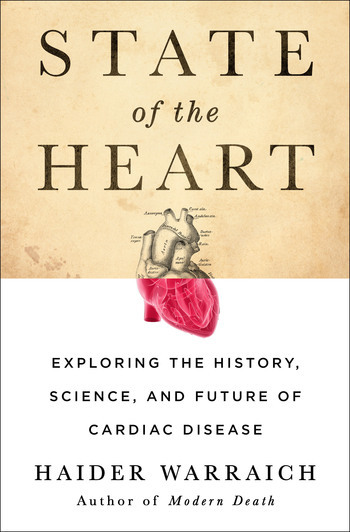 And we are learning how human evolution itself may have led to the epidemic of heart disease. 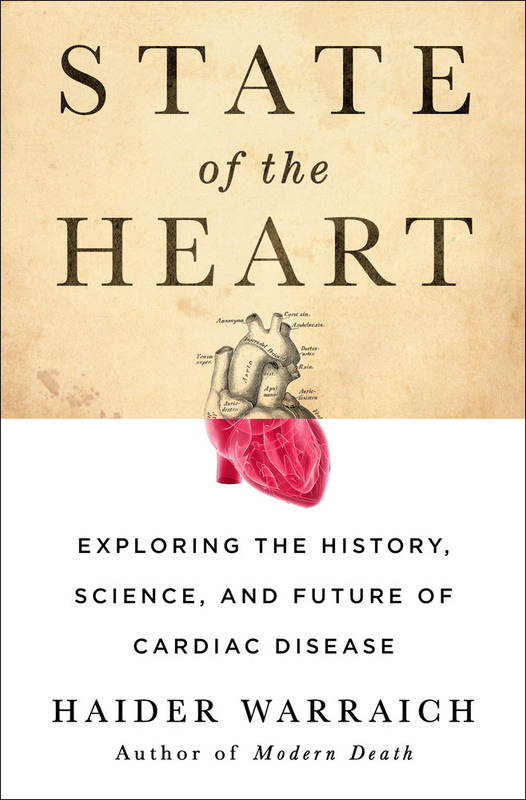 In understanding how our knowledge of the heart evolved, State of the Heart traces the twisting and turning road that science has taken—filled with potholes and blind turns—all the way back to its very origin. DR. HAIDER WARRAICH is currently a fellow in cardiology at Duke University Medical Center. His medical and Op Ed pieces have appeared in many media outlets including the New York Times, The Atlantic, the Wall Street Journal, Slate, and the LA Times among others. He is also the author of Modern Death.